Just reflecting upon today… While on the train. I spend one day a week on the streets of Peterborough as city centre chaplain. Today I had lots of ‘interruptions’ and unplanned chance meetings on the streets while fetching things for the Chaplaincy time with one of my volunteers. We met people as we walked to pound land to fetch baulballs and mince pies for some outreach, but in so doing we reached out to those around us. Then we met Dickie with his dog. 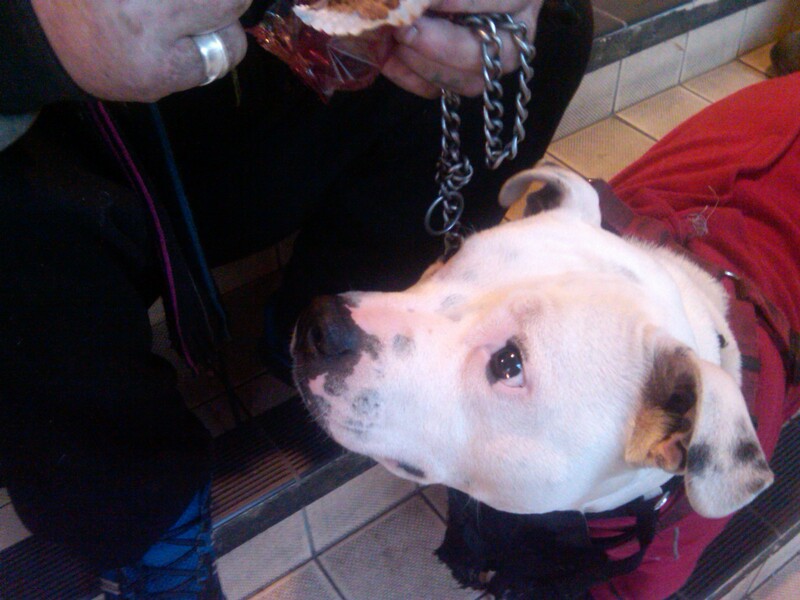 We got him some tea and cake and listened to some of his heartache too… His dog enjoyed the cake too.